A Fabulously fresh function venue in a well-loved nursery! Ideal for your next event the venue caters for up to 60 people and you are welcome to bring your own catering! Alternatively our restaurant can plan a menu according to your budget and requirements! Green with Envy Function Venue is a new addition to this well established nursery, gift shop and restaurant. Located at 281 Vause Road, Berea, Durban within the trees and tranquility – is this a fresh green and crisp white oasis! 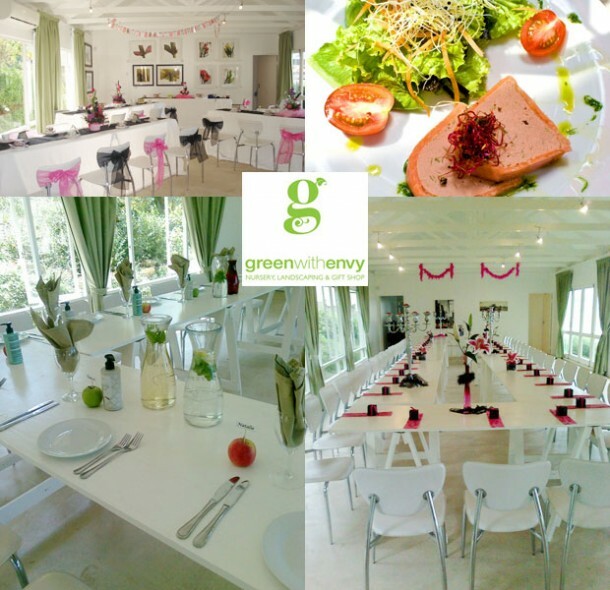 The Green with Envy Function Venue was designed to provide all our customers with a fresh, green-friendly environment ideal for lunch functions, private and personal events (eg birthdays, baby showers and kitchen teas) as well as small, stylish and intimate daytime weddings. 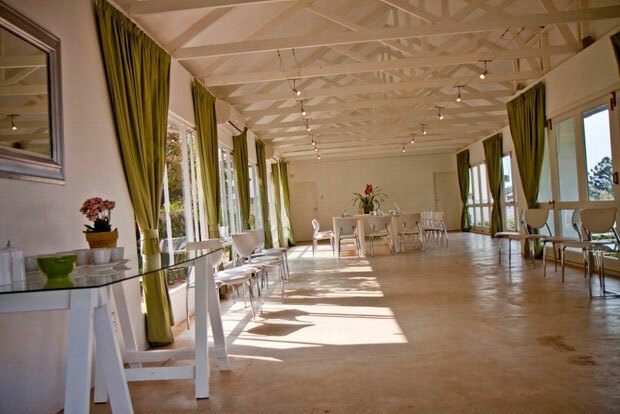 The Green with Envy Function Venue is a flexible space designed to suit various functions and events. We so look forward to working with you on your next event! Updated in 2017: This venue no longer offers weddings. Im looking for a venue in Durban to host a bridal shower on 02 March 2013. Im expecting 20 guests, please advise on the cost and availability. Hi Sithembile, I think it’ll be best to contact the venue directly to get the quote – you’ll find their details in the post above. Happy planning! Looking for a venue in Durban to host a bridal shower on 02 Feb 2012. Please let me know if you have a venue available for 30 guests. If so, what is your rate for a venue. Please can you contact the venue directly, as they might not receive this query. Their contact details can be found in the post above.